Kanoko and Kazutora, an elegant Ubud post wedding photo session. 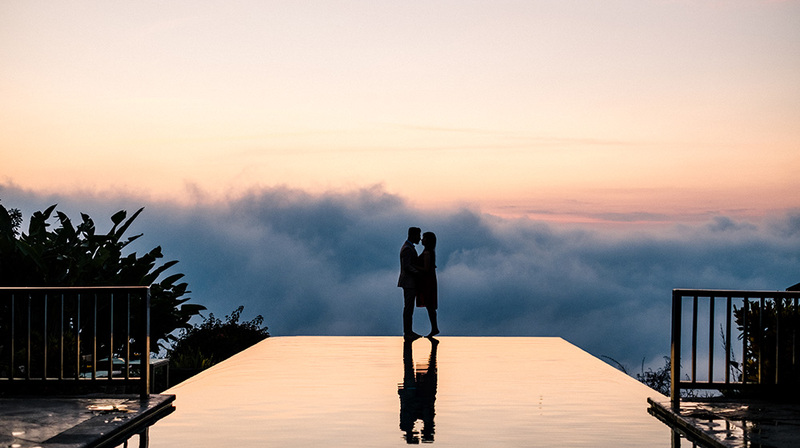 The Japanese couple just celebrated their love by saying ‘I do’ at Soori Bali a few days prior to the photo shooting. 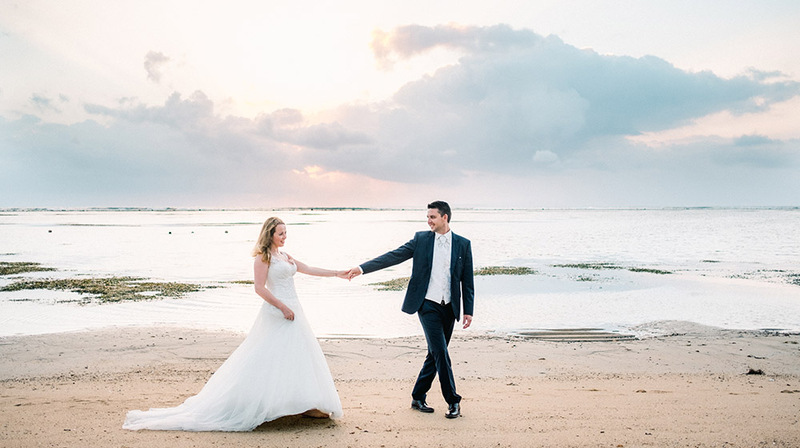 The bride, Kanoko, loves Bali and often visited the island. 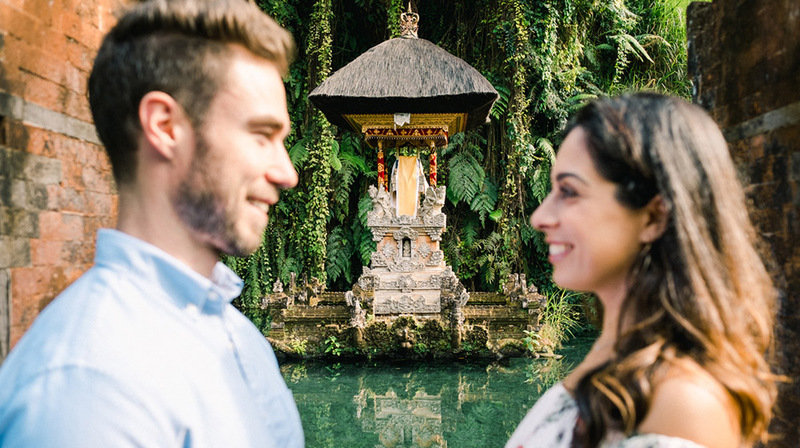 This time, she came as a bride and decided to take her new husband, Kazutora, for a romantic Ubud post wedding photo session in two of Bali’s scenic destinations. The Ubud post wedding photo session started with a morning drizzle. Luckily after waiting for a while in the car, the sky cleared up and the sun showed up in full force. The newlyweds’ theatrical black dress and suit created an alluring elegance amid the green terrace rice field of Tegalalang. Kanoko changed into a lavish blue gown in our next location. 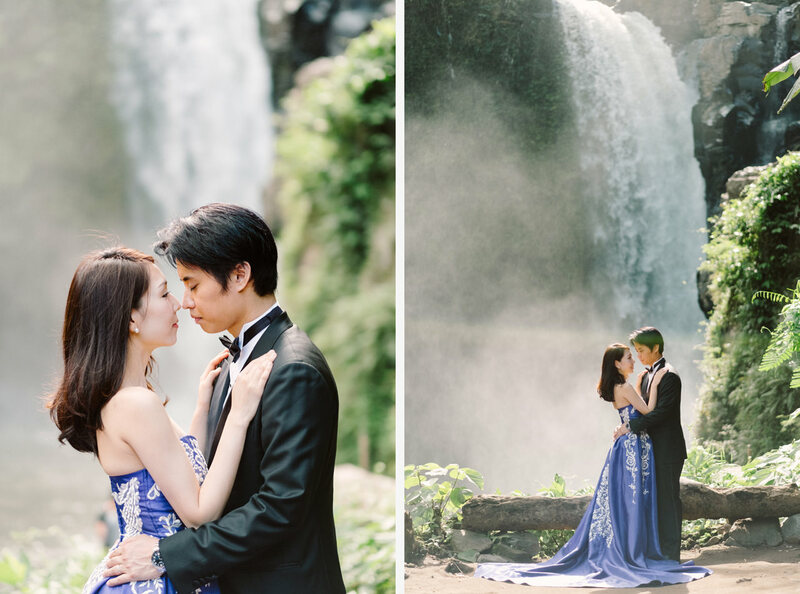 The light illuminated the couple beautifully while the mist from the waterfall created a dream-like setting. It rained again after our photo shooting is finished, as if giving a blessing to this lovely couple. 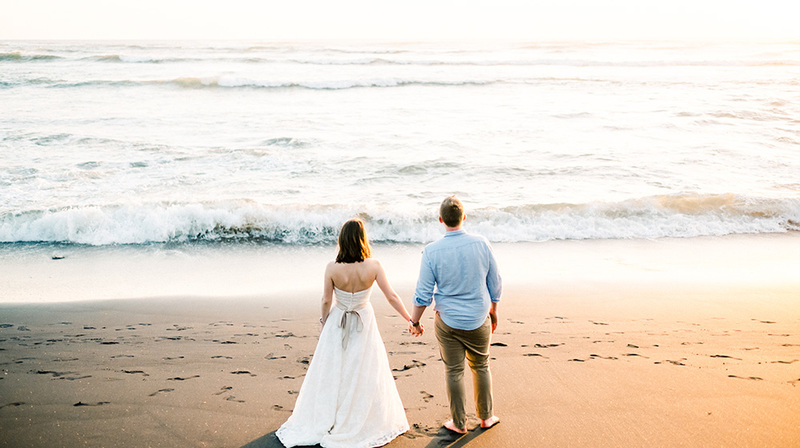 I’ve shoot a few images of Viceroy Bali Elopement Photography using a film camera contax 645.